Sault Ste. 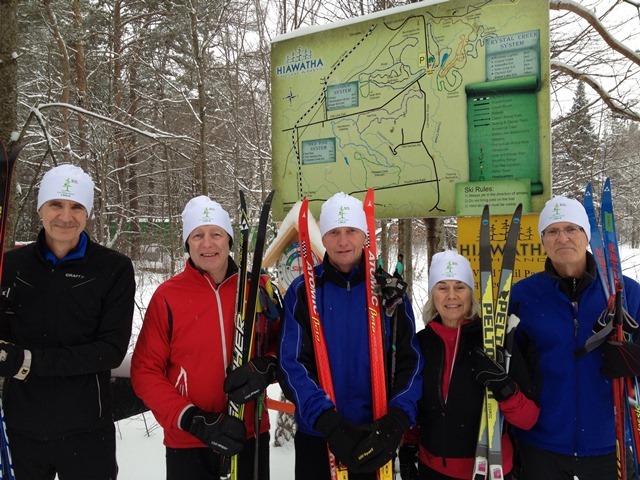 Marie, Ontario’s premier cross country ski club with programs, lessons, and races that cater to all ages and abilities; located in the beautiful Hiawatha Highlands. Club memberships may also be purchased in person at Hiawatha Highlands from December to March, and are subject to an additional processing fee of $5 per form. Program registrations (excluding adult lessons) must be completed online. The following is just a sampling of the benefits of being a member of the Soo Finnish Nordic Ski Club. Meet other active people and have fun! What is Club Membership and Why Would I Join? When you become a Soo Finnish club member, you are investing in our club AND the sport of cross country skiing and biathlon. Soo Finnish Nordic is a member of Cross Country Canada/Ontario and Biathlon Canada/Ontario, the organizing bodies for both sports. They supply valuable programming and operational support to our club and its members, which also includes liability insurance. You know that feeling you get when you see a Canadian cross country skier do well at a competition? That is a result of decades of sport investment from club members. Our club is volunteer-based and its existence is dependent on you. Unlike some ski clubs, we do not have mandatory volunteer hour policies or fees in lieu of volunteer hours, but we do ask that you consider contributing your time and funds to make our club better. We are a community that can be a positive part of your life. Our club membership does not include a trail pass; members aged 13 years old and up are required to purchase a trail pass from Hiawatha Highlands. Not all trail pass holders are members (but should be because the Soo Finnish Ski Club and its members are awesome); trail pass fees support daily operations (e.g., trail maintenance, grooming, facilities, equipment and staff).